I wanted to take a minute and point to one of my favorite podcasts, Art & Story (hosted by Mark Rudolph and Jerzy Drozd), which I had the extreme pleasure to take part in recently. 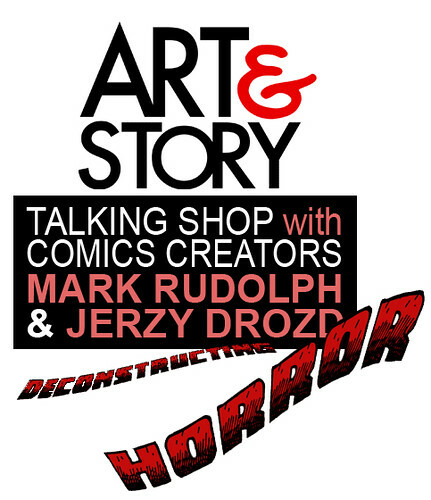 Jerzy and Mark do an amazing job deconstructing the process of writing and illustrating comics (storytelling in general), and I was invited to the conversation to help get into the nuts and bolts of horror storytelling. We ended up talking about why people choose to watch and read horror stories referencing our own personal taste in horror movies and such. I had an absolute blast during the recording and I think we did a good job starting the conversation on horror as a storytelling genre. We also recorded material that I’m going to use for the basis of another Branded in the 80s podcast, a look down the Halloween-y memory lane, which I’ll hopefully have cobbled together and ready for everyone’s listening pleasure this weekend. It’s a Branded in the 80s/Art & Story crossover, 80s Marvel comics style! Also, Mark Rudolph has another great podcast on Metal music called the Requiem, which I also urge anyone interested in broadening their listening horizons to checkout. PreviousDay 23 of the Halloween Countdown: I wonder when the first edible full-body costume will come along? 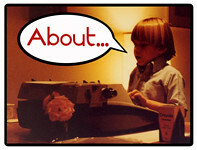 NextDay 27 of the Halloween Countdown: Branded/Art & Story Podcast crossover! Can you imagine the Kirby Crackle in your mouth? It’s the sound of the war agaisnt the Tooth Invader!